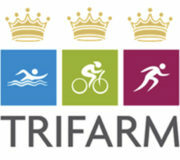 The Trifarm Triple Crown is a series of three races in the early summer of 2019. 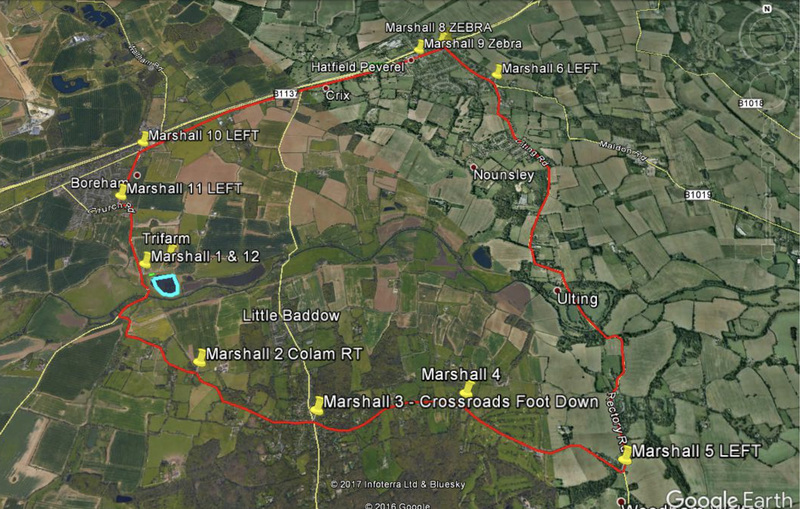 Each leg will be an individual sprint triathlon comprising a single 800m lap of the Trifarm lake, a 18km cycle leg on the open public roads around Trifarm, and then a 5k run made up of 5 laps of the perimeter path around the Trifarm Lake. Prizes will be awarded for each individual race, as well as the Triple Crown prizes for the 1st,2nd and 3rd males and females who have competed in all three races. Triple Crown Race 1 is scheduled for May 26, 2019. Triple Crown Race 2 is scheduled for June 23, 2019. Triple Crown Race 3 is scheduled for August 4, 2019. The swim course (light blue) and perimeter path run course are shown below. The 18k bike route is shown in the figure below. Download a GPX file for the bike route here (ZIP file). The races will be based at Trifarm, near Boreham in Essex. Competitors will be able to park on site. Changing and registration will all be based around the normal Trifarm Reception area. 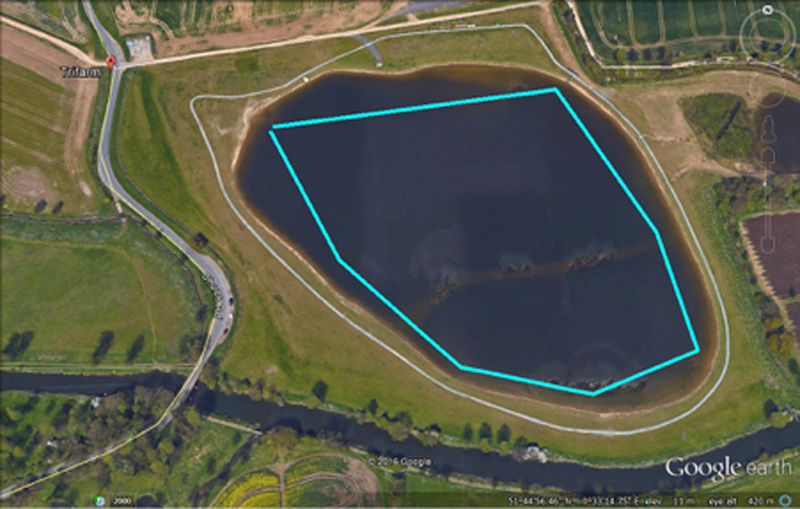 A secure transition area will be located near the trifarm entrance gate, where the swim leg will start and finish. Select you preferred race(s) below. You will be directed to the British Triathlon Federation’s website to complete you entry.